Pakistan hasn’t had a lot to be positive about lately. Last summer, millions were displaced from their homes due to military operations against the Pakistani Taliban in northwest Pakistan. This year, about 12 million are affected by the flood disaster, with authorities estimating that reconstruction will take up to three years after the rains subside. Beyond all of that Pakistan has a volatile political situation, a continuing militant threat, and a weak economy. Last week, two brothers were brutally murdered by a mob in Sialkot as police officers looked on, a horrific atrocity that sparked anguish and outrage among Pakistanis, [Rabayl has a brilliant piece on the incident here]. So much of this makes me sad, infuriated, and sick to my stomach. But yesterday, while reading through various articles on the floods and disaster relief, I realized that we so often get engulfed by the negativity, by the tragedy of our circumstances, that we sometimes miss the bright spots amid the gray. 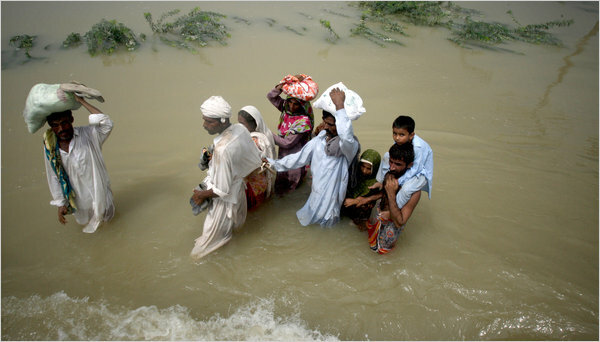 The floods in Pakistan are the worst disaster any of us have lived through. But it is also within this tragedy that we have seen real heroes that demonstrate what citizen action truly mean. Future Leaders of Pakistan, an organization of young Pakistanis, has also been coordinating flood relief for those affected by the disaster. Last week, Sana Saleem wrote about their trip to Thatta, Sujjawal and Sharif Solangi in Sindh, providing relief to over 500 families. Over at her blog, Sana provided a guide to others planning to provide relief on the ground, including ways to manage and coordinate aid with large crowds, see here. Faisal Chohan, a senior TED fellow and founder BrightSpyre & Cogilent Solutions, recently set up PakReport.org, an initiative that allows citizens to text observations and report incidents about the disaster to create a dynamic and comprehensive crowdmap about the flood situation on the ground. One of the team members told the Express Tribune, “What happens is that people send in reports via text, email or web, indicating a need. The map then plots the need and also notifies NGOS and relief agencies working in the area. If they have resources, they can help.” The online initiative employs Ushahidi software in order to visually categorize the needs on the ground. 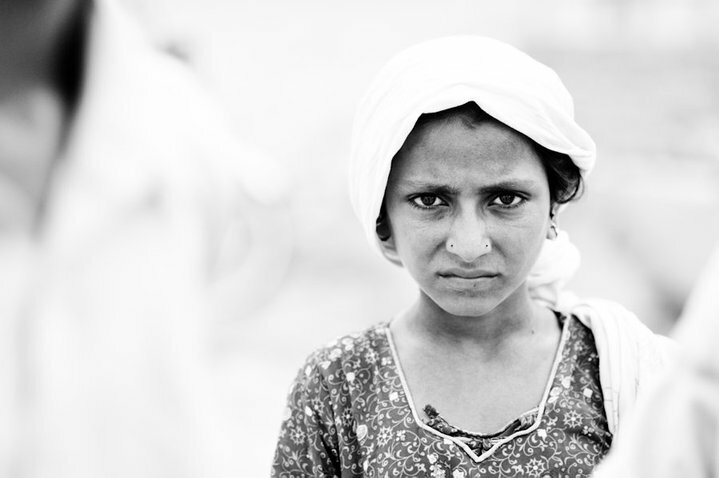 Other social entrepreneurs, such as the Kashf Foundation, are also involved in disaster relief. Naya Jeevan, a social enterprise that provides quality health insurance to the urban poor [see here for CHUP’s interview with Asher Hasan], has partnered with two credible NGOs – Shine Humanity and UM Trust – to provide health care to families in the hardest-hit areas. Naya Jeevan is also distributing Ramadan calendars to raise money to provide health insurance to people in the flood-affected districts. This belies all talk of donor fatigue. Growing awareness of the sheer scale of the disaster has seen the public continue to respond to the needs of people who are in dire need of help. Their generosity has been astounding. In the U.S., where “donor fatigue” has become the chief buzz word of late, donations are nowhere near the scale we saw following the Haiti earthquake earlier this year. But, via Relief4Pakistan, the campaign we launched two weeks ago, we’ve seen numerous Americans – not just Pakistani-Americans – step forward, being a part of an effort that has raised $81,000 as of today for Mercy Corps’ first response relief efforts on the ground, [see this past post for more on the campaign]. I’ve also read and heard of numerous efforts occurring throughout the country, all in a push to mobilize support for Pakistan. The Acumen Fund, for example, recently launched “On the Ground in Pakistan,” an initiative that allows users to add their observations and appeals to their “tapestry” online. Today, the Gates Foundation also donated $700,000 for those affected by the floods. I was lucky enough to be part of Riz Khan‘s show on Al Jazeera on Wednesday, where Mosharraf Zaidi, Sir John Holmes, and I discussed the issue of “donor fatigue,” [see below]. My heart breaks on a regular basis for Pakistan. At the same time though, I am so inspired by the amount of people I have seen take action amid this tragedy. Their tireless work and commitment to this country should continue to inspire us all. The continuation of the rain, even if it’s less heavy this week, makes it difficult for relief teams to reach the people in need. Last Friday, I attended a USAID discussion on the situation in Pakistan, where the speaker noted that there are now 15 American military helicopters in Pakistan. The State Department website notes, “U.S. helicopters have evacuated 5,912 people and delivered 717,713 pounds of relief supplies.” However, noted the USAID official last week, helicopters can’t exactly fly when it’s raining. So relief teams have to rely on four-wheel drives, trucks and even donkeys, often delaying delivery time. The floods have devastated infrastructure, further complicating the delivery of aid. Countless numbers of bridges and roads have been destroyed, washed away, or blocked by landslides. If bridges aren’t repaired more quickly, than aid and food will fail to reach the hundreds of families cut off from relief. (Again, if it wasn’t raining, helicopters could be instrumental in food drops, but their efforts are hampered by the continuing rains). Because the floods are not over, we still don’t know the full extent of the devastation. Remember when news agencies said over 14 million had been affected by the floods, “more than the 2004 tsunami, the 2005 Kashmir earthquake and the 2010 Haiti earthquake combined”? Yeah. That was last week. This week, the number is over 20 million. And as the rains continue, more land will be submerged by water, more families will become displaced, and the overall impact will be larger. 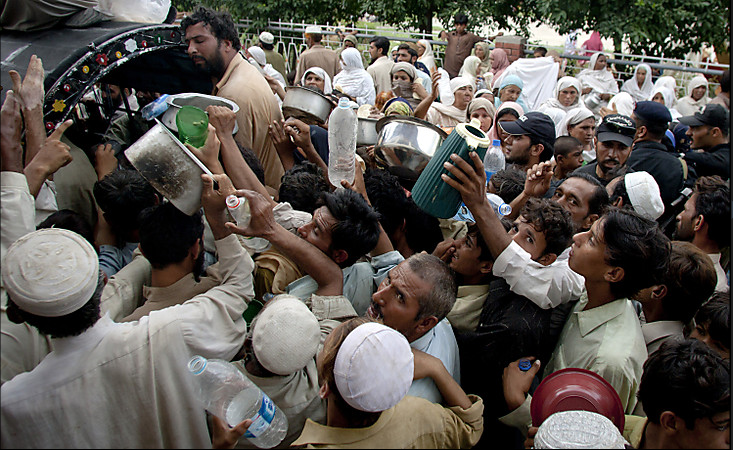 Relief agencies and the Pakistani government aren’t operating in all the affected areas. Much of the current emergency first response relief seems to be concentrated in Khyber-Pakhtunkhwa (particularly Swat Valley) and Sindh provinces. However, very little aid has been delivered to Balochistan, which has also been impacted by the floods, mainly because international agencies can’t operate in those areas. According to ARY Television (via @mirza9), a Balochi official today said only the army are operating in the province. The NDMA (National Disaster Management Authority), provincial government and the federal government are completely missing on ground. For those who want to continue to do more and fill in these gaps, you should continue to donate to vetted agencies working on the ground. I’ve provided a list here, and have plugged my own campaign, Relief4Pakistan in my last post. Donations can go a long way, further than pledges that can get caught in bureaucratic red tape. More importantly, you can raise awareness about the situation, particularly if you live overseas. If you live in Pakistan, you can and should take part in the PakRelief Crowdmap, which creates a dynamic map of the flood emergency and directs relief agencies to those area. This effort is vital in an environment where efforts are often duplicated, or for certain areas don’t receive enough attention. To submit your own observations to the Crowdmap, text about the disaster to 3441, beginning the message with “FL” for flood relief. See here for the website, and here for the Facebook page. So far, more than 1,600 have been confirmed dead since the flooding began in Pakistan two weeks ago, though this toll will rise as the disaster continues to spread and the threat of water-borne diseases like cholera rises. Villages have been swept away. Hundreds of families have been displaced from their homes, their livelihoods destroyed. Over 14 million people have been affected by these floods, more than the 2004 Tsunami, the 2005 Kashmir earthquake, and the 2010 Haiti earthquake combined. Since the flooding began, I have laid awake at night, haunted by the images of the tragedy – families wading through what was once their homes, villages submerged under water, people frantically escaping to safe areas not already destroyed by the floods. This disaster is bigger than anything you or I have seen in recent years. But it is not productive to just lament about the loss and tragedy of this disaster. It is not enough to hang our heads or blame leaders for their lack of action. If we want to help the millions suffering, we have to actually do something to help. As many of you know, I’m the director of Social Vision, the venture philanthropy arm of ML Resources. Social Vision provides seed funding and support for innovative initiatives and social entrepreneurs/enterprises in their earliest stages. Earlier this week, I received a call from my friend, Mahnaz Fancy, who was one of the founders of Pakistani Peace Builders, a new initiative of Pakistani-Americans and concerned global citizens, the group behind the recent Sufi Music Festival in New York City. Mahnaz shared many of my same frustrations about responses to the disaster, and offered the most time-sensitive solution – a grassroots donation campaign to benefit the millions impacted by the floods in Pakistan, a campaign that would appeal to both Pakistanis and non-Pakistanis. We got to work immediately, designing a campaign that would leverage social media and grassroots giving to fund raise in the most efficient way possible. Therefore, rather than five people giving funds to five different (albeit all well-deserving) organizations, this campaign would enable those same five people to donate to one relief organization, an agency we had thoroughly vetted and were in close contact with. Therefore, the campaign aims to centralize donations in order to maximize impact of those funds. This of course was a lot easier said than done, given the tremendous work of numerous relief agencies on the ground, both international and Pakistani. However, after much deliberation and due diligence, ML Social Vision and PPB chose Mercy Corps, a global aid agency, as the direct recipient of these donations. We made this decision based on Mercy Corps’ stellar reputation and credibility in the West and on the ground, its transparency, its ability to respond quickly to emergencies, and its previous work in Pakistan. Not only has the organization already launched its fundraising appeal, it also coordinates directly with local communities and organizations in Pakistan. Mercy Corps also doesn’t attempt to do too much, and instead concentrates on doing things well – it’s currently focusing on providing clean water, staple foods and clean-up tools for affected families mainly in Swat Valley and Sindh, two of the worst hit areas. On Thursday, our campaign – Relief4Pakistan – went live, and we set our first fundraising goal at $100,000, with ML Social Vision providing the first $10,000 to jump start the campaign. Since then, we have managed to raise over $19,000, which is fantastic, but we still have a way to go before hitting our goal. So please, donate by clicking here. Every dollar (or foreign currency!) counts. The money will go directly towards Mercy Corps and will be earmarked for their flood efforts. You can also join our Facebook page, where you will receive updates on our progress, news on the disaster, as well as updates we will post from Mercy Corps’ efforts on the ground. Given that tomorrow is Pakistan Day, there is nothing more patriotic you can do than donate or support the numerous families affected by the floods. If you decide to hold your own fundraiser, and are not sure where to donate the funds you receive, please feel free to contact us or donate it directly. At a time of such tremendous tragedy, the best way to make a difference is to help. Thanks and Happy Pakistan Day! The news from Pakistan has been heartbreaking. We have been engulfed with images of flood affected citizens wading through what was once their homes, fires from the violence and targeted killings in Karachi, and smoke billowing from cars destroyed by a suicide bombing in Peshawar, an attack that killed the chief of Pakistan’s Frontier Constabulary. And that was just the last few days. You can imagine for five or six days floods have caused havoc in these areas. People have lost their food stocks. The markets are not up and running. Shops have collapsed. People are definitely in the greatest need of food. That’s what we fear. The need to rush to those areas which have been cut off for the past week to provide them with life-saving food. The long-term impact of the floods on issues like health and livelihood are also significant. According to Dawn, authorities fear a breakout of water-borne diseases like cholera that could subsequently trigger a health crisis. And as the floods sweep away farm land and devastate livestock, farmers in the affected provinces stand to lose “millions of dollars,” noted Dawn. Moreover, the displacement of numerous Pakistani citizens caused by the disaster further compounds the country’s pre-existing Internally Displaced People (IDP) issue, [in March, I wrote that a million people remain displaced after the military’s operations against the Taliban last summer]. Yes, so while I clicked on some pictures of you smiling with Nicholas Sarkozy, your children along your side, I also happened to come across pictures of some other families. They weren’t well-dressed and neither were they in France. They were crying, sitting in various parts of Khyber-Pakhtunkhwa. But then again, they are just a statistic right? I am not sure what the death toll was when you left but it has now crossed 1,400, with over three million affected. I understand discussing diplomacy and terror strategies are important but what about these people, sir? Are they really just a statistic for you? People with homes swept away and children drowned, can’t just be statistics. My company, ML Resources Social Vision, in partnership with Pakistani Peace Builders, launched Relief4Pakistan on August 13, a global grassroots donation campaign that leverages social media platforms to raise money for the flood affected families in Pakistan. See the R4P website here to donate (donations go directly to Mercy Corps’ first response relief efforts on the ground), or this blog post for more background. [If you live in the United States] Text “SWAT” to 50555 to donate $10 towards Pakistan’s flood victims. The UN Refugee Agency (UNHCR) has partnered with mGive again to allow mobile contributions for those affected by the disaster. Every $10 helps provide tents and emergency aid to displaced families. When prompted, reply with “YES” to confirm your gift. Donate to Save the Children, which is on-the-ground and responding to the flood by preparing to distribute plastic sheeting for shelters and other household supplies and hygiene kits to families affected. At the request of the Pakistan Health Department and the World Health Organization, Save the Children has also deployed mobile health teams and ambulances to provide emergency medical treatment in the worst affected areas. Click here to donate directly to their efforts. The International Rescue Committee‘s emergency team are currently working to serve Charsadda, Nowshera, Lower Dir and Swat. They are also conducting assessments in Kohat and Hangu, to better understand how those populations are being affected and what assistance they may need. In addition to providing these essential items and services, the IRC are also planning on providing livelihood activities, so as to help families get back on their feet as soon as possible. You can donate to the IRC by clicking here, or if you call 1-877-REFUGEE (1-877-733-8433), you can specifically earmark your donation for the Pakistani relief efforts. Medecins Sans Frontieres, or Doctors Without Borders, has a team on the ground and is providing emergency medical services. To donate to MSF, go to their website. Oxfam International is also on the ground and hopes to raise $6 million for their immediate and long-term response to the disaster. 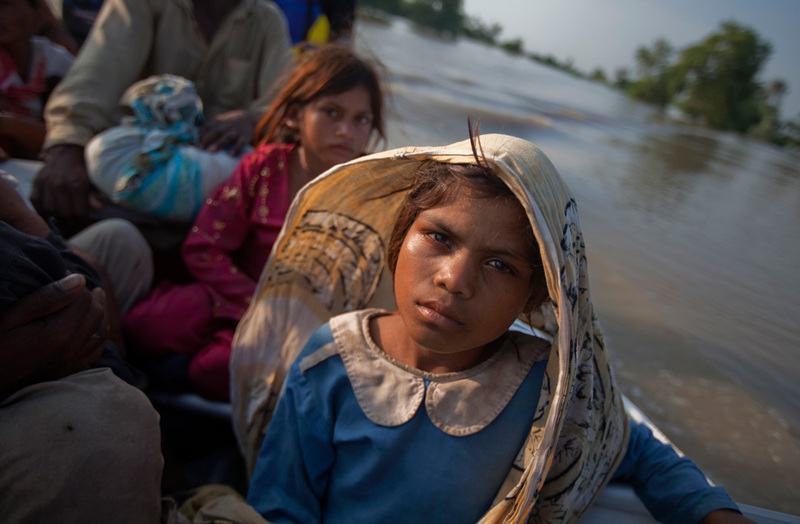 You can choose to make a donation to your nearest Oxfam affiliate, (though Oxfam Australia, Great Britain, Germany, Netherlands and Spain all currently running direct appeals for the Pakistan floods). Click here for information. As noted in the above post, the World Food Programme (WFP) is providing food to those affected by the flood. To donate to their efforts, see here. The Edhi Foundation has a stellar reputation in Pakistan and provides emergency services to those in need. Click here to find and donate to your local Edhi office. CARE International is also working on the ground in relief efforts. 90 cents of every dollar goes towards the cause, see here. The Pakistan-India foreign secretary-level talks took place as scheduled. But curiously, apart from the usual rhetoric of “terrorism” from the Indian side and “Kashmir” from the Pakistani side in the run-up to the talks, water became the more prominent issue. Though the water issue has been raised in the past, and is one of the sustaining factors behind Pakistan’s continued interest in Kashmir, the articulation of water as a core India-Pakistan dispute in such a distinct and clear manner is unprecedented. Within the space of two weeks, water was mentioned as one of the principal disputes between India and Pakistan by our Prime Minister, our foreign minister, our Chief of Army Staff (COAS) and curiously, even Hafeez Sayeed of LeT/JuD. In order to understand the issue better, it is important to first provide a background of the Indus Water Treaty (IWT). Broadly speaking, the IWT grants exclusive use of the three eastern tributaries of the Indus River – the Sutlej, Ravi and Beas Rivers – to India and the three western tributaries – Indus, Jhelum, and Chenab Rivers to Pakistan. India is entitled to use all of the 33 million acre feet (MAF) of water from the eastern tributaries, of which it currently uses 30 MAF. Of the three western tributaries, the Jhelum, Chenab and Indus itself, which carries a flow of 143 MAF, India is entitled to store 3.6 MAF and is allowed to irrigate 13,43,477 acres of land. India does not store any water as of now and irrigates 7,92,426 acres. In addition, India is entitled to build “run of the river” hydroelectric projects, which do not store water on the western tributaries. The rise in the country’s usage of the water allocated to India (which used to flow to Pakistan earlier) is stressing the water availability in Pakistan. In addition, reduced snowfall and shifting weather patterns is reducing the water inflow. It will be fruitless to speculate on (1), so let us concentrate on (2), (3) and (4). At this point in time, the Pakistani government has not proven that India has stolen water. The allegation of Indian water theft has not been substantiated by either telemetry readings submitted by India or by water monitoring by Pakistan and has not been raised during the meetings of water commissioners of India and Pakistan. Moreover, because water sharing between Pakistan’s provinces is a contentious issue, water monitoring in Pakistan is a murky issue. To prevent discord among the provinces, monitoring sensors installed by Siemens are frequently tampered with and some monitoring sensors are regularly lost due to theft and sabotage. Even our Indus water commissioner Jamaat Ali Shah and ex-finance minister, Dr. Mubashar Hasan agree that no provable water theft is being committed by India. Therefore, the inescapable conclusion is that India is not violating the “letter” of the treaty, even if it may be maximizing its usage as accorded to India by the treaty. This is not enforceable in any court of law, and stirring domestic sentiment over such perceived “violations” reduces our policy options and creates disastrous consequences as the Baglihar episode showed, (for background on the Baglihar dam conflict, see this piece). So what are the disadvantages of the massive construction spree by India? The national security elements in Pakistan are concerned that even as India is not reducing the flow of water to Pakistan, it is rapidly acquiring the capability to do so by building dams. This is certainly an area of concern, but the IWT does not prevent India from being able to stop water flow into Pakistan at a future date. It only prevents India from stopping water flow. A positive aspect is that the IWT has stood the test of time, with no violations reported during the 1965, 1971, 1989, Kargil, Parakram and Mumbai standoffs. As pointed out beautifully by lawyer Ahmer Bilal Soofi, India cannot be compelled to give “concessions” to Pakistan as long as it complies with the letter of the IWT. Furthermore, any extraneous discussions about water sharing can be stymied by India, since water sharing according to the Indian stance is already settled by IWT. From their perspective, as long as India is not in violation of the treaty, there is nothing to discuss. Of the remaining courses of action open to Pakistan, re-negotiation of the IWT has a very small chance of success (since both sides will try to get better terms than the current treaty even if India agrees to renegotiate). The right course of action is to massively modernize our irrigation infrastructure (it is estimated that up to 40% of water drawn from our head-works are lost due to seepage in unlined canals, theft and evaporation), stringently follow the inter-provincial water sharing accord of 1991, and gain the trust of the provinces so that new water projects such as Kalabagh can proceed without their objection while seeking unofficial concessions from India to tide over the interim 5-10 year period. However, seeking unofficial concessions might be a hard task, since it has to overcome the prevailing climate of suspicion between the two neighbors, as well as India’s own domestic interests like its own water requirements as well as the impact on public opinion and Indian farmers. At the end of the day, the wrong course of action would be to stir public sentiment through half truths and lies and to involve non-state and Jihadi actors, which reduces the space for policy flexibility in Pakistan, and further hardens the Indian position.